Pirated or cracked signmaking software is missing features and is unreliable. It seems pirates are everywhere these days; on the movie screen, attacking freighters off the coast of Somalia, and selling bogus sign making software. Captain Jack Sparrow may be a dashing figure, but real life pirates do a lot of damage to the global economy. And they make it impossible for some of our customers to get their digital sign equipment to work correctly. More on that later. Clearly, doing what we can to address this problem would help accelerate our nation’s sluggish recovery and boost job growth. How can you help? By not buying pirated sign software. More importantly, by avoiding pirated or “cracked” software, you will not only be helping the economy recover, you’ll be assuring yourself that you have the tools you need to make your plotters and printers work properly. Cracked software is grossly inferior. That’s why it’s so cheap. Recently, our tech support department received a call from a customer who was having trouble with his new vinyl cutter. As the call progressed, the customer reported getting command errors that our technician had never seen before. Eventually, it was discovered that the customer was using pirated software. It was buggy and could not be used to support the equipment. When we encounter a customer who is having trouble due to pirated software, our policy is to refuse to support that product. So if you buy cracked software and it causes problems with your equipment, you will not be able to get the help you need to fix it. Should you be able to somehow make it work in the short term, you will find that, when you need an upgrade, you won’t be able to purchase one because you don’t have a qualifying product. So despite the lower initial purchase price, cracked software is not a good investment. 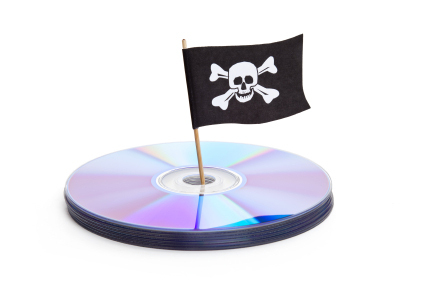 In addition to being impractical, buying pirated software is also illegal and immoral. In fact, it’s a felony. I’ve been had. Now what? If you’re not sure if your software is genuine, call our tech support department. We can tell you if you have a valid license. 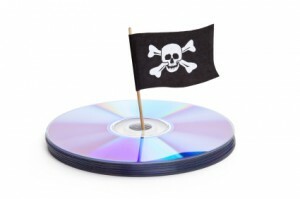 If you find that you’ve mistakenly purchased pirated software, you can report the pirate by contacting the manufacturer. They can then alert the proper authorities and try to shut the criminal down. Besides being the right thing to do, it’s good for business. The job you save may be your own.